Basically its what i have said Price reliability , very close those two and fuel economy. 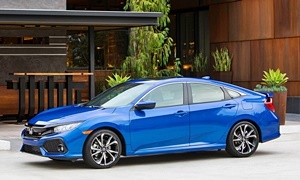 I have been looking mostly at Toyota and Honda which in this market means Honda Civic and Toyota Corolla I like the Scion a1 but there not too many of those around The Toyoya IM and its a1 version is beyod my budget now. Also the mazda 2 might fit the bill although in this market (Miami Fl, th4y are neither plentiful nor inexpensive. I lookes at the subaru but I am afraid the 4 wheel drive is a bit too much , besides they are scarce and pricey. The Korean cars am familiar with Dont trust them much altough I like their warranty but it was not transferable ( the 100000 mile one) The Rio sells better that the accent down here so ther's more of them around. These Kias usually start enginne module problems between 25000 and 40000 miles and its recurring. They are not that expensdive to repair but its annoying and extra expense. I can't use a manual because the old lady can't drive it. Most of the Souls down here are manual, even the off leased ones. So I have been lookin by necessity , nor by choice, to the Ford Focus and the Chevy Cruze and I am not familiar with them although from what I read they cant compete with the Japanese brands in reliability or fuel economy. They might even be a touch or two below the Korean's. Any one has an opinion on the Cruse and the Focus? Which one will you prefer the chevy or the Ford? I would at the newest car you can buy. The newer the less likely of problems at the 6-8 year mark. 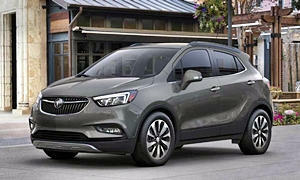 I prefer turbo-4 for highway cruising as our old 2013 Buick Encore would see close to 40 mpg and the owners of Cruze with 1.4T are seeing +50 mpg near highway speed limits. I like the Encore as it has good space for cargo with the rear seat that split folds and the front passenger seat that folds flat for even more room. The Encore has the highest seatin position compared to cars or sedans and will be the quietest. 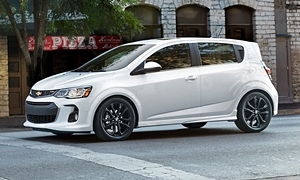 The Chevy Sonic also has the 1.4T as an engine option. I would not get the 2012+ Focus because of the widespread transmission and power steering failures. The 2008-2011s were reliable and you can find them for very cheap. The ones before 2008 were not reliable. 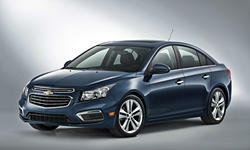 The Cruze is also unreliable. 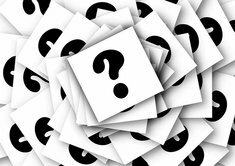 There is a class action lawsuit involving coolant leaks. The owners are reporting that their brakes are failing, which is no big deal. In addition, they have a sluggish transmission that fails. More reliable than the Focus, but not by much. The new ones (2016+) are better, but that is over your budget. I just don't see a reason to buy a Cruze or Focus when they are clearly not as reliable as the Civic, Corolla, and Mazda3. They are all point A to B cars, so why buy the car with the data that says the car is unreliable? With your priorities, there is nothing wrong with the Civic and Corolla. 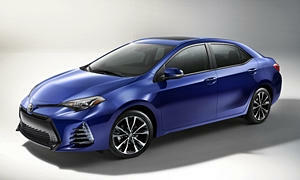 The Corolla is great for people who don't really care if their car is fun to drive. The Civic is a little more fun and is reliable, but doesn't have the same rock-solid reliability as the Corolla. 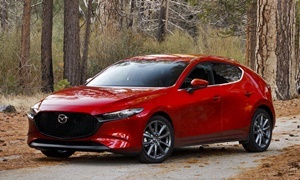 The Mazda3 is the best if you like the car to handle well and be fun. It is reliable, too. The Japanese compacts are more generally more reliable than the domestics. The Kia Forte is also a good choice and they have already depreciated a lot. The Hyundai Elantra is pretty good except for the 2013 because of premature tire wear and blow-outs.